The Hillsborough Justice collective continue their cause at The Picket, Getintothis’ Kevin McManus reports on a night of passion in Liverpool. This was really a night for us old fellas. Well, there were a few women there, but the audience was largely made up of deliriously happy men of a certain age rallying together for a worthy cause. The cause of all this joy was a collective that came together originally in September at the Olympia in support of the Hillsborough campaign and enjoyed it so much that they’ve carried on from that great night. 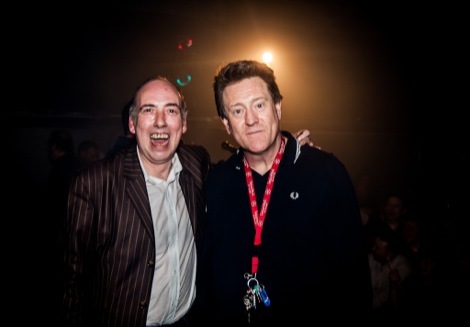 Under the banner of Justice Tonight Pete Wylie, The Farm, and Mick Jones with assorted special guests have been having a ball but also supporting a great cause. It was fitting that this latest Liverpool gig was at The Picket renown for its support for just causes. Tonight was meant to be a low key warm up before supporting The Stone Roses. It was many things but it certainly wasnt low key. 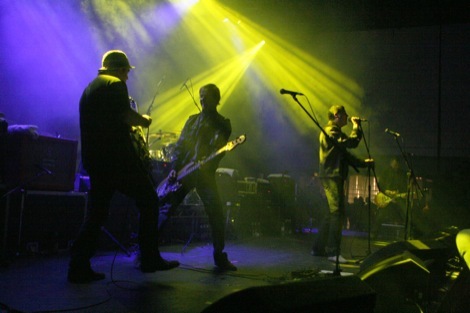 Introduced as ever by John Robb, the night began with The Farm launching into Groovy Train and we were off. 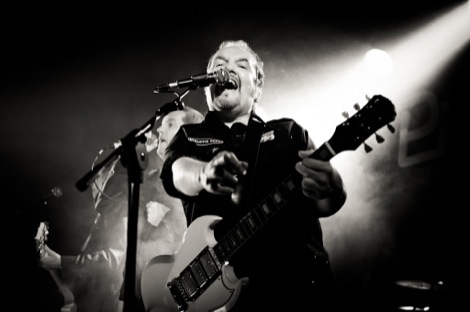 The Farm were soon joined by Pete Wylie and he was on top form making the room his own. This man has written some great tunes and we got a handful here with Heart as Big As Liverpool, Story of the Blues and more as well as the riotous The Day That Margaret Thatcher Died. 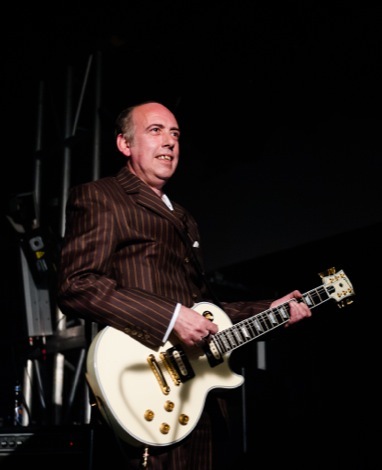 Then on came the legend that is Mick Jones. We were treated to one Big Audio Dynamite song and then straight into a set of Clash tunes with vocal duties shared between Mick, Wylie and Peter Hooton. Rock the Casbah almost brought the roof down before The Wombats‘ Matthew Murphy strode on to do a stunning Brand New Cadillac – well done that man. They encored with a manic John Robb tearing into Janie Jones from the debut Clash album before an emotional finish with All Together Now. Great people, doing great things, on a great night.